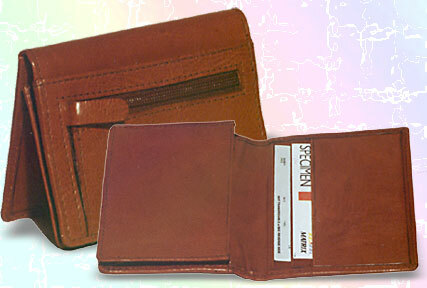 Card holders for credit cards and visiting cards are a leather utility that provides convenience for most individuals. Branded with the corporate logo, they make excellent presentation items. This leather card holder has a slot for cards at the back. 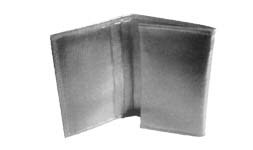 Inside, there is a gusset pocket to hold additional cards. The RHS has a side pocket and two credit card slots. With 3 card pockets on the LHS and a gusset pocket for plenty of visiting cards on the RHS, this is an ideal leather cardholder for the executive. 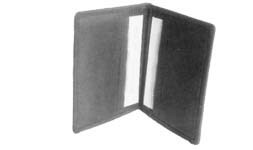 A simple leather visiting card holder. 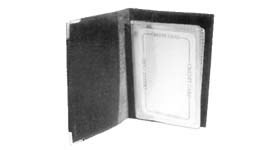 When open, there are two compartments to slide in cards. 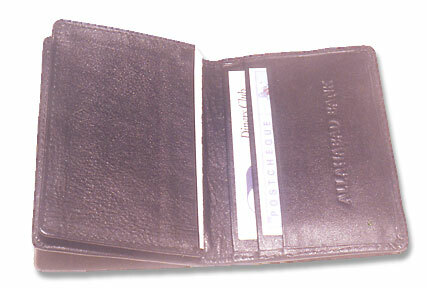 A leather cardholder that can be easily kept in your pocket. It has 2 side pockets and 3 credit card slots on each side. It can be made from Cow and Buff leather. This is a leather utility for every businessman. 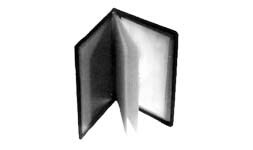 It has 2 side window pockets from where you slide in a plastic album that can hold 10 cards. It is also possible to increase the number of cards. A card holder from vegetable tanned cow. On the outside is a zip coin pocket with a pocket beneath it for a few cards. On opening, the LHS has three slots for cards and the RHS has a gusset pocket for plenty of cards.